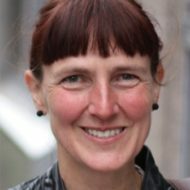 Workshop with Professor Martha Albertson Fineman in Oslo 14–15 August 2012. Organised by the Nordic Women’s University (Kvinneuniversitetet i Norden) in cooperation with the research group Law and Vulnerabilities (Rätt och utsatthet), Faculty of Law, Lund University, and the research group Rights, Individuals, Culture and Society, Faculty of Law, University of Oslo. Martha Albertson Fineman has for several decades been a leading feminist legal theorist and is among the founders of the field. Her current research programme, the Vulnerability and the Human Condition Initiative, is directed at finding new ways to reformulate existing legal and social bases for global justice. By taking the shared, human condition of vulnerability as a point of departure, her vulnerability approach reorganizes the relations between individuals and society. The theoretical and political implications of Fineman’s vulnerability analysis are possibly far-reaching, and we invite other researchers and social scientists to join us in exploring the relevance and possible uses of the vulnerability approach in a Nordic context. The workshop is based on written papers, and is also open to non-presenters. If you want to participate, contact margunn.bjornholt@gmail.com.